A warning to Los Angeles Department of Water and Power (LADWP) consumers eager to earn a rebate for replacing their grass with drought-friendly landscaping: application mistakes could cost you thousands of dollars. The "Cash In Your Lawn" program offers $3.75 per square foot of lawn replaced with "California Friendly Landscaping." As drought warnings have escalated in recent months, the program's popularity has surged: since 2009, the DWP (in partnership with the Metropolitan Water District) has issued rebates for 15 million square feet of turf removal. But the LADWP warns that utility customers should proceed with caution if they participate in the program: misunderstandings and mistakes could cost them their rebates. Just ask Karen Lewis, who volunteered to make arrangements to transform her daughter Lauren’s Sherman Oaks front yard from "water guzzler" to "water free." Lewis contacted Novel Remodeling of Los Angeles to do the job. "I said 'I want to do this only if I can get the rebate,'" Lewis told the I-Team. She claims she was assured by a Novel employee that she would not only get the rebate, but that Novel would handle the application process with the LADWP for her. "So we said OK, great, [and] they started the job," said Lewis. She says she paid $5,000 for the project, assuming she’d get a big chunk of that money back once the DWP approved the work. But she discovered later no rebate application was ever filed, and because of that, the LADWP tells the I-Team that Lewis will get no rebate funds. The I-Team contacted Novel Remodeling, which promised to investigate Lewis’ complaint that she’d been misled. While Novel declined an on camera interview, a spokesman said via email that "we deliver exactly what we promise 100 percent of the time ... Our contract does not state anything regarding our company agreeing on getting Mrs. Karen Lewis a rebate." The I-Team reviewed Lewis’ contract, and confirmed Novel’s statement. 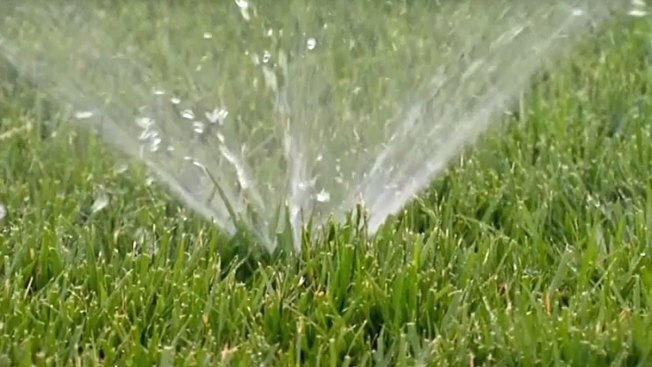 LADWP Water Conservation Supervisor Mark Gentili tells the I-Team it’s imperative to pay close attention to the exact requirements of the Cash In Your Lawn program, outlined on the utility’s website. "The idea is that before you take your lawn out, you get a 'reservation,'" Gentili explained. A "reservation," or rebate application, requires extensive photo submissions, detailed documentation and can take weeks to approve. "There are some contractors [who] do it for nothing," Gentili said. Instead of charging customers, some contractors do the landscaping for no fee, arranging instead to collect the rebate funds directly from the DWP, and allowing lawn owners to bypass the red tape entirely. That’s the deal Lewis believed she’d struck, only to find herself with a front yard renovation that came at a steep price. She ended up paying $10,000 altogether: $5,000 for replacing the lawn and another $5,000 for the removal of two trees she agreed to, she says, at the suggestion of Novel Remodeling. "They’re going to make out that I’m an old woman who didn’t understand," Lewis said. "What I’d like is the amount that would have come from the rebate, that’s what I want. No more." If you're interested in applying for a Cash In Your Lawn rebate, you can find more information at the LADWP website.